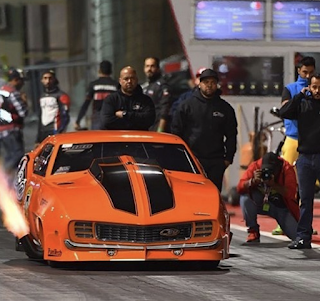 2018 just got started and formula one's Bahrain Int'l Circuit - Drag Strip is already becoming a wonderland with several world record going down at the Bahrain Drag Racing Championship. Kuwaiti, Duaij Al Sabah, Pro Mod car just destroyed the 1/8th mile world record twice.He first ran a 3.62s which we all argued and made noise about shortky before turning around the next day to back it up with a world record pass 3.61@217mph on a night that Ekanop PRO RCF Lexus reached a 3.674@345KM/H (214MPH) and the gt86 Drag Import destroyed its world record. This place is a wonderland. 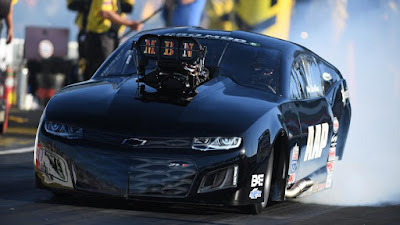 Lizzy Musi was the first one to set an 1/8th mile record here last year driving for Al Anabi and Mahana Al Naemi Speedtech Camaro also made things very interesting in Bahrain. It was a top notch racing in the middle east that will be missed for years. The quickest 1/8th mile car was Lizzy Musi Frank Brandao's King Kong Dodge Dart Pro Nitrous car that went3.63 in the summer of 2017. 2018 will be a new record chasing with teams in Qatar already lining up their cars to the record. Richie Stevens Jr is in AAP Speedtech Camaro, and word has it he has stumbled a few times in the 3.7s with a straight out of trailer car. Mike Castellana will be eying some 1/4 mile records too with the team camping up in Qatar. We are closely monitoring what goes down there this week at the industrial area of Qatar.